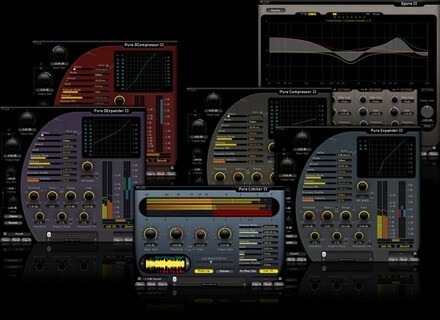 Recording Pack, Other effects bundle or multi-effect from Flux ::. Flux:: shas announced the release of its new Recording Pack plug-in bundle, designed to provide a "versatile and comprehensive set of precision tools for your everyday recording and mixing session work giving you a processor for each task within the range of dynamics and equalization processing." The following plug-ins are included in the bundle: Flux:: Pure series Compressor, Dcompressor, Expander, Dexpander, Limiter and the Epure II EQ. Recording Pack is available in all major native formats for both Windows (VST/RTAS) and Mac OS X (VST/AU/RTAS). It costs €579 but is currently available for the time-limited introductory special price of €434 - a saving of 25%. Cockos Updates REAPER to v3.03 Cockos has updated REAPER to v3.03, offering batch rendering, FX wet/dry controls and lots of improvements, according to the company. iStroboSoft for the iPhone & iPod Touch iStroboSoft is designed to offer the accuracy of a mechanical strobe tuner for the highest degree of precision available in a software tuning application. Cakewalk Guitar Tracks Pro 4 USB Guitar Tracks Pro USB is described as an all-in-one solution for guitarists and singer/songwriters, providing everything you need to record and produce music on your Windows PC.